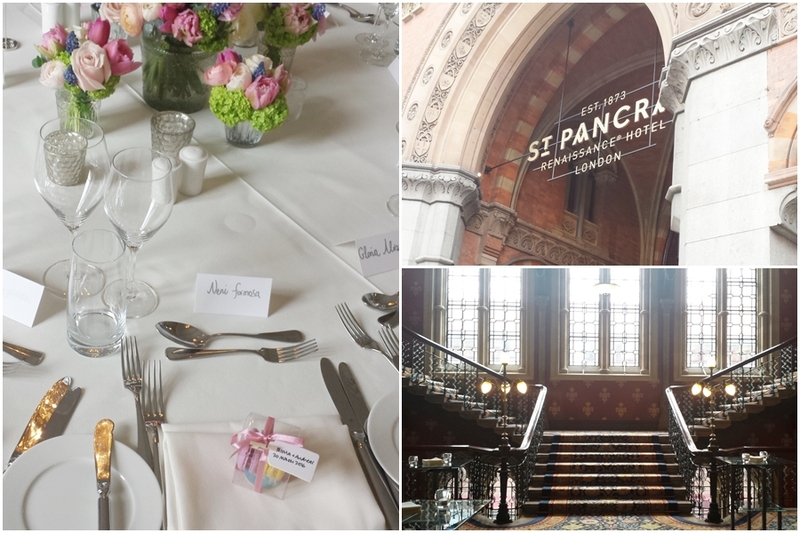 I couldn’t count how many times I’ve passed St Pancras Renaissance Hotel and wondered what was going on inside the majestic building at any one time. I live about 10 minutes away so it’s a part of my life’s landscape, but in all this time I’d yet to make a wedding cake for a couple getting hitched there. When the wonderful Gloria got in touch and told me all about her plans for reception there, I was over the moon. 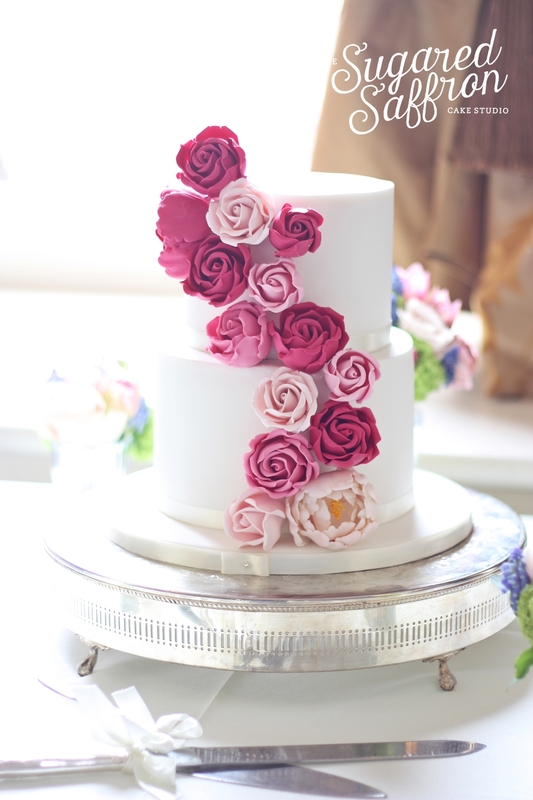 She was sold on one of my previous wedding cake designs and fell in love with my sugar roses. 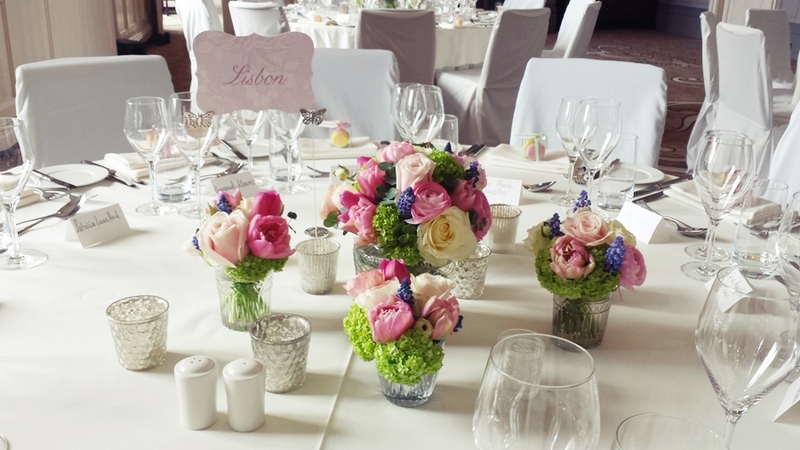 On the day everything looked so bright and airy with touches of colour in the flowers and favours which gave it a really lovely spring time feel. 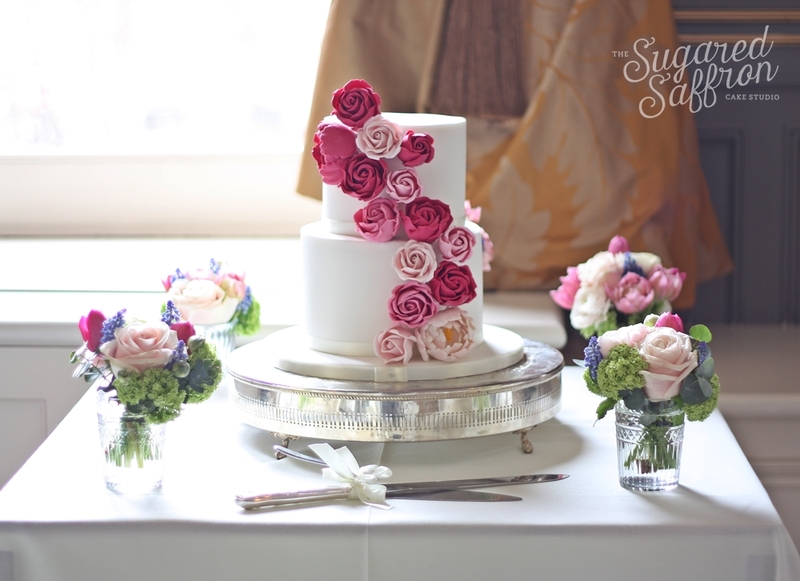 McQueens took care of the wonderful arrangements that were natural looking, without being too understated. And here is the cake in all it’s glory. Surrounded by beautiful flower arrangements and natural light streaming in through the windows. The venue also provides its own cake stand, knife and server so it’s one less thing for couples and the cake maker to worry about.